Home Shamong News Does AC improve grades in school? The evidence says yes. Does AC improve grades in school? The evidence says yes. Many parents and residents have criticized Shamong’s school district for its plans to fund an expensive HVAC repair via a bond referendum on Sept. 26, but evidence shows it can improve grades albeit at a high cost. 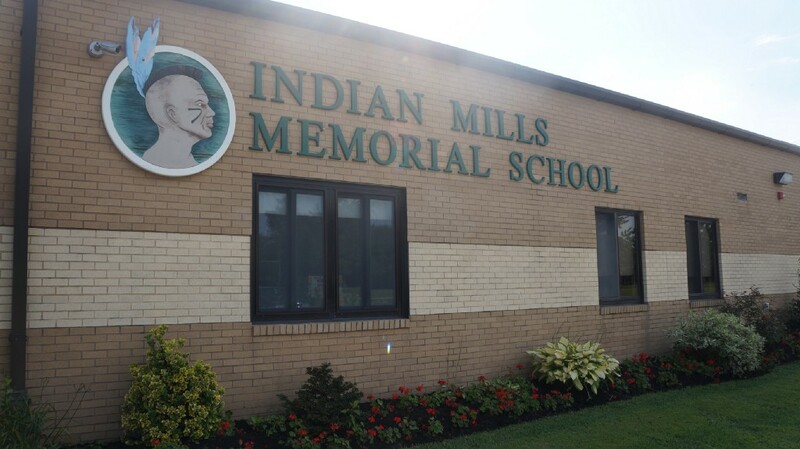 Shamong Township Schools will hold a referendum on Sept. 26 on a bond for various projects for both of the district’s schools, Indian Mills Elementary School and Indian Mills Memorial School. The referendum totals $4.9 million and includes various projects the district deems necessary, including the replacement of a generator, parking lot restoration, door access controls and, most expensively, fixing the HVAC systems at Indian Mills Memorial Middle School for a cost of $1.9 million. The fix would ensure air conditioning and climate control in the school’s gymnasium, cafeteria and classrooms. Also in the referendum are plans to upgrade the HVAC system in the elementary school’s cafeteria, for an additional cost of $565,000. However, the HVAC upgrades have come with resistance from some residents, many of whom maintain HVAC upgrades aren’t necessary because the schools they went to growing up didn’t have air conditioning either. One resident at the most recent board of education meeting referred to air conditioning as “coddling” students. Many residents who object to air conditioning in schools are further bothered by the steep $1.9 million price tag of the HVAC repairs. Shamong Deputy Mayor Mike DiCroce is one of them. Speaking to DiCroce’s point, $1.9 million is more than 12 percent of the district’s $15.8 million total budget. DiCroce feels the district should be able to find the money for various projects in the referendum by cutting “waste” out of its budget. But, specifically, what allocations in the budget does DiCroce consider waste that should be cut? But is air conditioning worth the steep price? In addition to the health and safety concerns cited by Shamong Superintendent Christine Vespe, studies show air conditioning can improve students’ grades. The first set of ninth-grade students received an average 90 percent test score on a test when taken in a classroom that was set to 72 degrees Fahrenheit. When the temperature was dropped to 61 degrees, the average score plummeted to 76 percent, and when the temperature was raised to 81 degrees, the students’ average test grade fell all the way to 72 percent. Temperatures at Indian Mills Memorial were even higher than that. On June 13, the school’s temperature records indicate classroom temperatures peaked at 87.4 degrees Fahrenheit at 2 p.m. At the same time of the day, the gym temperature reached 90 degrees Fahrenheit, according to records provided by the district. Furthermore, temperatures have gone up in recent years — a big difference between today and when parents were in grade school. According to Weather Underground, a website run by the same company that owns The Weather Channel, the average high in the Philadelphia region was 80.1 degrees Fahrenheit during every September from 2010 to 2016. During every September from 1970 to 1976, 40 years earlier, that number was 77.4 degrees Fahrenheit. Additionally, another study conducted in 2006 by scientists from a Danish organization called the International Centre for Indoor Environment and Energy found “the performance of two numerical and two language-based tests was significantly improved” when the temperature was reduced from 77 degrees Fahrenheit to 68 degrees Fahrenheit. Studies such as these have recently persuaded cities such as New York and Chicago to push for air conditioning in all of their schools. Just this past April, New York City announced plans to spend $28.75 million on air conditioning on all of its remaining schools that lack the amenity, according to the official website of the City of New York. “We want [voters] to make an informed decision,” said Laura Archer, the district’s business administrator. If the referendum passes, the district will fund the projects in the referendum, including the HVAC repairs, with help from the state, which would contribute up to 40 percent of the costs. Realistically, the district expects the state to chip in approximately 33 percent. If the referendum fails, the projects would still “be completed without state aid over a number of years,” according to Archer, costing the district more money in the long run. The district plans to hold two information sessions on the bond referendum, both right before the district’s back to school nights. The first will be Sept. 7 at 6 p.m. at Indian Mills Elementary and the second will be Sept. 14 at 5:30 p.m. at Indian Mills Memorial Middle School. The sessions are expected to last approximately a half hour, and back to school night will commence immediately after both sessions at 6:30 p.m. on the 7th at the elementary school and 6 p.m. on the 14th at the middle school.